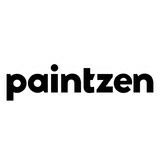 Trusted Painting Experts of Westchester County- 3x Best of Houzz! 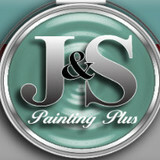 Welcome to J & S Painting Plus, Inc. If you are looking for a painting contractor for residential painting or commercial painting, we are a licensed, fully insured member of the Better Business Bureau. Unlike other painting contractors, we offer quality service delivered with reliability and integrity. For over 30 years, we have provided excellent quality exterior painting, interior house painting and commercial painting services. Our extensive service area includes Greenwich, CT, New Canaan, CT, Darien, CT, Stamford, CT and surrounding areas of Fairfield County, CT and all of Westchester County. In addition, we serve the needs of residential and commercial customers in Scarsdale, NY, Rye, NY, Harrison, NY, Larchmont, NY and Chappaqua, NY. As an expert painting contractor, J & S Painting Plus, Inc. distinguishes itself from the competition by providing our clients with the highest standards in customer service. When you call J & S Painting Plus, Inc, your call will be answered by a knowledgeable representative during our normal business hours, Monday through Friday from 7:00 am until 4:00 pm. In addition to the quality of our house painting services, our outstanding customer care sets us apart from other painting contractors. We provide you with a written proposal for your painting job on the same day we conduct a free estimate at your home or business. We provide each prospective client with an informative package of material, including our NY and CT Home Improvement licenses, insurance, references, awards, certificates and many client testimonials when we visit your home or business to conduct a free estimate. In addition, you can find information about our services, testimonials and photographs of our quality exterior house painting and interior house painting and commercial painting projects on our website. 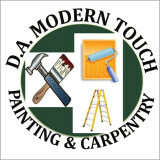 MDF Painting & Power Washing, LLC is a Commercial and Residential Painting business founded on quality craftsmanship and the basic principles of honesty, integrity, and excellence in customer service. We make enhancing the beauty of your home EASY for you! One man shop, forty years experience. Interior preparation, painting and wall covering removal and installation. Specialties include plaster repair, (reconstructing metal and wood lathe, brown coat plaster, white finish coat plaster). Specialties in wall covering include grass cloth, untrimmed hand screened paper. 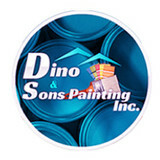 More than 25 years of painting and repair experience. Experience has taught us that prep work is the MOST important aspect of a paint job. We take the time to do it right so that the finished product will look good for many years to come. Daily supervision by my foreman, me (or both of us) during a project allows us to stay on target. We have direct access to manufacturer’s technical support staff for information on specialty products, problems or applications. What separates us from the competition is our ability to understand what your needs and expectations are and then deliver the results. We are professional, courteous, organized and meticulous.